17 Days Uganda Community & Cultural Safari is an excellent cultural safari organized by Prime Safaris & Tours Ltd for you to explore Uganda’s communities, cultural practices and norms, way of life, visit the village blacksmith, storytellers, farmers, traditional healers and local handcraft makers, buying their local handcrafts. The 17 Days Uganda Community &Cultural Safari will take you through stunning cultural sites in Kampala, cultural sites in southwestern Uganda such as Amabere ga Nyinamwiru, the Karambi tombs, and the Batooro King’s palace all in Fort portal, Visit the Banyankole Cultural sites in Mbarara district, encounter the Bugisu and the Karamojong, the IK group of people living Near Kidepo National park. The 17 Days Uganda Community & Cultural Safari will combine Uganda’s most exclusive national parks as well as cultural experiences and taste of world class services from some of the finest lodges in Uganda. Day 3 of the 17 Days Uganda Community & Cultural Safari: Transfer to Jinja with enroute visit to Sezibwa falls, Mabira forest. 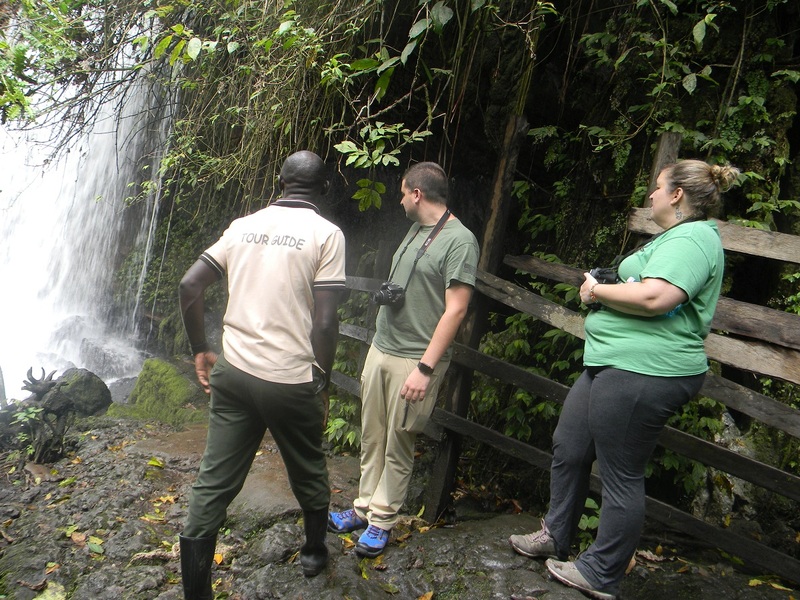 Day 5 of the 17 Days Uganda Community & Cultural Safari: Hike to Sipi falls & Transfer to Kitgum town. Day 6 of the 17 Days Uganda Community & Cultural Safari: Transfer from Kitgum to Kidepo National Park & Afternoon Community walk. Day 7 of the 17 Days Uganda Community & Cultural Safari: Do an Early Morning Game Drive & Evening Cultural Encounter. 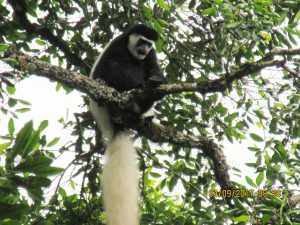 Day 9 of the 17 Days Uganda Community & Cultural Safari: Early Morning Game drive & Afternoon Boat Cruise, Hike to the fall. Day 10 of the 17 Days Uganda Community & Cultural Safari: Transfer to Hoima with enroute visit to Kibiro Salt Gardens & Hot Springs. Day 17 of the 17 Days Uganda Community & Cultural Safari: Transfer to Kampala with enrounte stopover at Uganda Equator, Mpambire drum Makers & Departure. 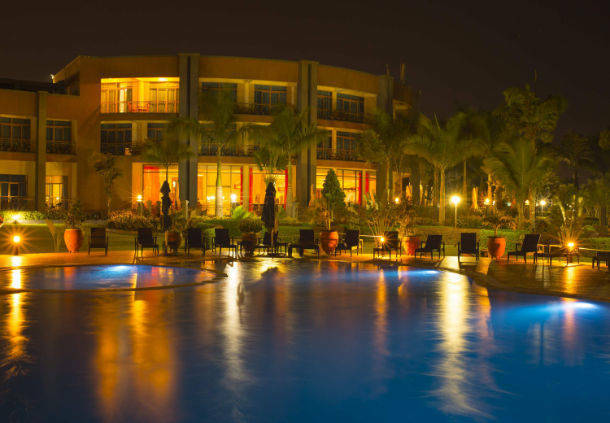 When you arrive at Entebbe international Airport, you will be met by our English speaking driver guide who will warmly welcome you and then transfer you to your pre-booked Hotel /lodge in Kampala for dinner and overnight stay. Accommodation: Kampala Serena Hotel (Upmarket/Luxury), Hotel Africa (Mid-range/Standard), Buziga Country Resort (Budget/Basic). Day 2 of the 17 Days Uganda Community & Cultural Safari: Kampala Cultural Sites Tour. After your early morning breakfast, you will be picked up from your respective Kampala hotel/Lodge and embark on your highly rewarding Kampala Cultural tour. The cultural city tour will take you through different sites such as Kasubi tombs -where the kings and royals of the Buganda kingdom are buried, Nagalabi – the Buganda kingdom coronation site, Bahai temple, the Kabaka’s lake and the Palace of the Buganda king and Uganda Museum. Have stopover for lunch in any of Kampala hotels and thereafter embark on visit to different art and craft centers, cultural markets like Owino, Namugongo Martyr’s Shrine which is a memorial place from where 22 Catholic young martyrs were officially burnt to ashes after rebelling against Kabaka Mwanga when he ordered then to denounce their new religion. The tour will enable you to learn about the true history of Uganda, its kingdoms and its rich varied culture. Later In the evening, head to the Ndere Cultural center where you will enjoy lots of entertainment including traditional cultural dances. Enjoy the dancers shake their bodies to the beautiful beats of the traditional instruments. Thereafter; retire back to your lodge for Diner and overnight stay. After taking an early morning breakfast, depart Kampala driving on Kampala-Jinja highway to Jinja. The overland journey of 80 kms about 1-2hours will take you through small townships of Mukono where you will encounter Sezibwa falls a cultural site related to the Buganda Kingdom. Thereafter continue with the drive through Mabira forest-the only forest reserve with over 100 species of large moths, 218 butterfly fauna, 300 species of birds e.g. blue swallow, papyrus gonolek and the nahan francolins, the purple throated cuckoo .On arrival at Jinja, you will head to Sunset Hotel in Jinja where you will have short stopover for lunch. Thereafter lunch, continue to explore the White Nile which is 7 times the volume of the great Zambezi and yet the longest river in the whole of Africa. Visit the fascinating Bujagali Lake and have an opportunity to see the dazzling white water of the River Nile squeezing its way through the rocks. In addition, you will see the true Jinja rafting source of the River Nile, the exact point where this river starts its long journey across the African continent. After the adventurous experience, retreat back to the starting point and thereafter drive to Jinja town. Embark on Jinja town city tour and this will offer you an opportunity to explore the different Indian styled structures which were used by many Indians before they were evicted by President Idi Amin Dada. You may also enjoy the sights of many shops located along the Jinja main road and you can decide to buy Ugandan Crafts in any of the craft shops in Jinja. Retreat back to the lodge for dinner and overnight stay after the city tour. Following an early morning breakfast, depart Jinja town driving to eastern part of Uganda. The drive journey to Sipi falls will take you through small townships of Iganga, Busembatia, to Mbale town, a pleasant town full of rich heritage and fascinating culture. On arrival to Sipi falls, you will drive to your lodge to check-in and have lunch .After lunch; embark on drive to the nearby Bagisu community for fascinating cultural encounter. The encounter comes with the pride of confronting the Sipi Widows’ Group that can take you on guided walk passing through the plantations of coffee as they illustrate how coffee is planted, picked, grinded and finally washed making it ready for sell. The encounter will also enable you to interact and enjoy the colorful traditional (Kadodi) dances, dresses and the handicrafts of the Gishu which are worthy seeing, visit the enormous caves, scenic peaks, gorges, and hot Springs, (optional). The village markets bustle with life, and local craftsmen work as they have done for generations. In this area you can discover the infinitive and variety of lifestyles and heritage which makes Uganda so special. Thereafter, retreat back to your lodge for dinner and Over Night. Immediately after an early morning cup of coffee, embark on a lovely hike to Sipi falls. The hike is too impressing as you move to the bottom of the charming three waterfalls. You will proceed with a quick steep climb to a series of stunning caves. As you advance to the perplexing trail to the other waterfalls, you will pass through banana plantations. After exploring the falls, retire to the starting point and thereafter embark on transfer to Kitgum town. The long distance drive will take you through different types of landscapes and traditional village. 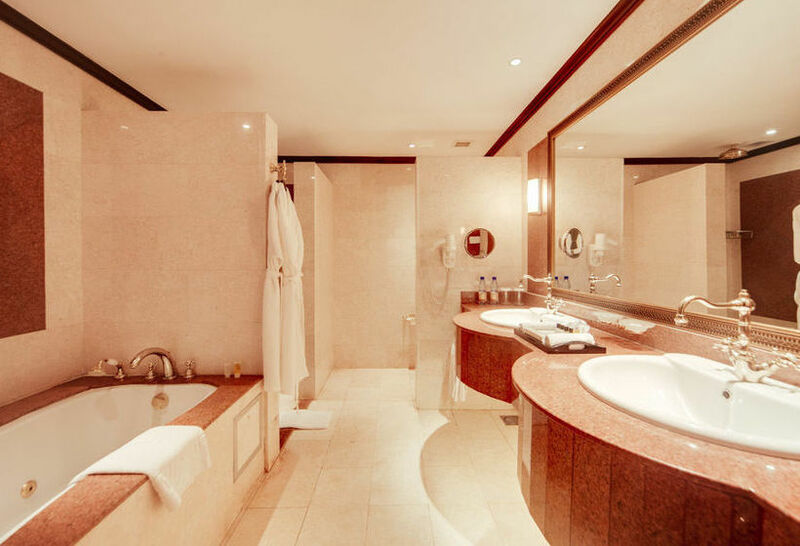 On arrival to the town, you will drive to your pre-booked hotel for relaxation, dinner and overnight stay. After an early morning cup of coffee, you will depart Kitgum town heading to Kidepo Valley national park which is Uganda’s magnificent and Africa’s finest wildernesses Park .The drive will take you through the remote villages of Acholi, to the local Karamonjos homesteads and finally into the valleys of Kidepo national park the most beautiful protected area in the Uganda. On arrival to the park, you will drive direct to your lodge to check-in, have lunch and after lunch, you will embark on community walk and this will take you to the Karamajong homesteads locally called manyattas and probably kraals to see traditional costumes, stools, spears headdress, knives, bows and arrows and jewelry. Retire back to the lodge after the activity, have dinner and overnight. On this day, take your cup of coffee and thereafter embark on an early morning game drive along the well-designated Kidepo trails to Kanangorok hot spring. The park harbors a great diversity of wildlife species than other parks in Uganda. Of the 80 species of mammals recorded in the park, 28 are not known to occur in any other Ugandan parks. The game drive will offer you opportunities of encountering the Carnivore species such as bat-eared fox, striped hyena, aardwolf, caracal, and cheetah, hunting dog. The game drive will enable you to have closer account to other wildlife species like Elephant, Burch ell’s zebra, bush pig, warthog, Rothschild giraffe, cape buffalo, eland, bush buck, bush duskier, defassa water buck, bohor reed buck, jackson’s hartbeest and oribi. After an early morning game drive, you will retire to your lodge for lunch and relaxation as you wait for an evening cultural encounter. Embark on an evening cultural encounter with the Karamajongoes local people living in the nearby areas of Kidepo Valley National Park. Cultural encounter will expose you to unique traditional dances such as the Emuya of the Naporre and Nyangia, ethnic groups and Larakaraka and Apiti dances of the Acholi. Meet the local elders and have an opportunity to interact with them. They will show you the kraals, the grinding stones and many more interesting items .After the activity, retreat back to the lodge for dinner and overnight. Depart Kidepo Valley National Park heading to Murchison falls national park. The long drive journey will take you through the interesting savannah grasslands of Kitgum district to Gulu town .You will have stopover for lunch in Gulu town and thereafter continue with the overland journey through Karuma checking into Murchison late in the evening like at 6-7pm.On arrival to the park, you will drive to your already reserved lodge for dinner and overnight. 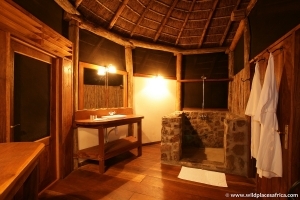 Accommodation: Paraa Safari Lodge (Upmarket/Luxury), Pakuba Safari Lodge (Mid-Range), Heritage Safari Lodge (Budget/Basic). Following an early morning cup of coffee, depart for an early morning game drive in the well-organized driving tracks of the delta area, Buligi tracks, Albert and Queen Tracks to search for unique wildlife species like giraffes, lions, hart beasts, elephants, cape buffalo, waterbucks and many other mammals. You may also encounter different bird species like the Black Chested Snake Eagle, , the Secretary bird, Blue Napped Mouse birds, the Silver Headed Agama and Swallow Tailed Bee-eaters. Immediately after 3-4 hour game drive, retire back to the lodge for relaxation and lunch. After lunch, connect to Paraa peninsular to catch up with an afternoon boat cruise on the placid Victoria Nile to the foot of the magnificent Murchison Falls where the Nile plunges through a narrow crevice. The boat cruise may offer you possibilities of encountering water based wildlife species like Hippos, Nile Crocodiles, as well as African Elephants when they are drinking on the river side. Disembark from the boat cruise and embark on 45minutes hike through narrow path to the top of the world’s most powerful falls. Upon reaching the top, you will enjoy the roaring sounds of the Nile as it crumbles its head on the impermeable rocks that have narrowed its way to less than 8m for centuries past. Thereafter, retire back to lodge for dinner and overnight stay. After your breakfast, depart Murchison heading to Hoima. The scenic drive will take you through the Albertine escarpment with prominent sceneries of the rift valley .You will proceed through Bulisa which is in the oil region of Uganda. 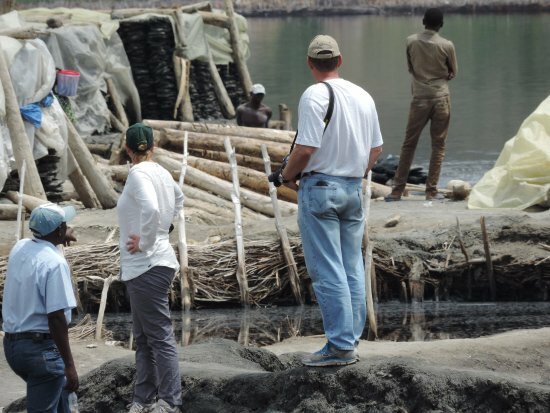 You will have a stop en route at Kibiro Salt Gardens and hot springs and here you will be exposed to marvelous local methods of fine salt extraction. The views of the scenic Lake Albert and the views of the Blue Mountains on the Democratic Republic of Congo are very rewarding. Thereafter, you will embark on the drive to Hoima .On arrival, you will have lunch and thereafter proceed to visit the Kings Palace of Bunyonyoro Kitara Kingdom. You may also take community walks around the local communities within Hoima town .Thereafter; retire back to the lodge for dinner and overnight stay. After your energy giving breakfast, setoff for transfer drives of about 5 hours from Hoima to Fort Portal town-one of the most wonderful towns in Uganda. The drive will take you through the rolling winding landscape of south western Uganda to Fort Portal. Arrive in Fort Portal town for lunch after which you will advance to do the Fort Portal Crater Lake Hike to gain magnificent views of the Fort Portal explosion crater. You will also visit the Amabere g’ Nnyinamwiru caves with a magical Nyakasura River falling over them forming wonderful water fall. The unique caves have breast like features which the locals attach a great cultural connotation and are thought to date back to the Chwezi era. Visit the Toro Kings Palace, a palace to the one of the Uganda’s youngest king ever. 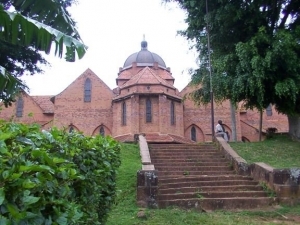 Then Visit to the Karambi Kings burial grounds. In the evening, enjoy the Batoro cultural entertainment and there after Retreat from the activity and get to the lodge for dinner and overnight. Accommodation: Kyaninga Lodge (Luxury/Upmarket), Chimp’s nest (Mid-range/Standard), Rwenzori view guest house (Budget/Basic). 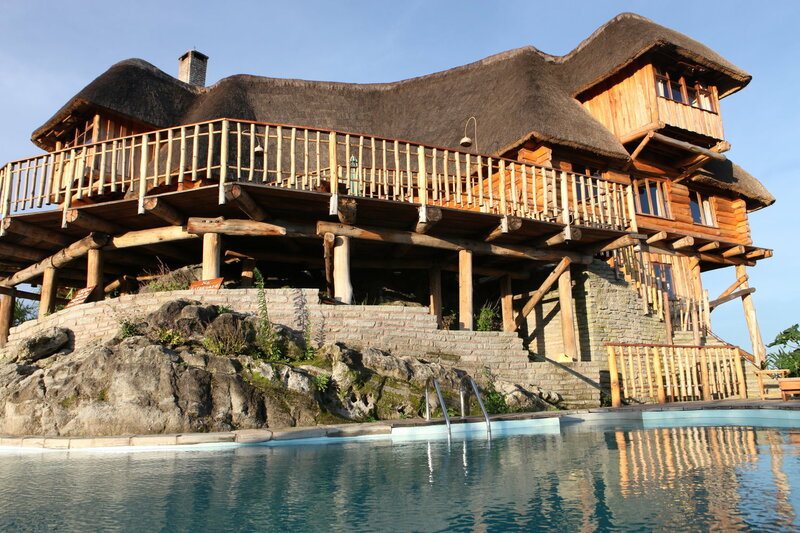 Accommodation: Kyaninga Lodge (Upmarket/Luxury), Chimp’s Nest (Mid-Range/Standard), Rwenzori View Guesthouse (Budget/Basic). After an early morning breakfast, embark on an early morning game drive at 6:30am in the rolling savannah plains of Queen Elizabeth National Park. The park’s diverse ecosystem of grassy plains, tropical forest, rivers, swamps, lakes and volcanic craters is home to an incredible abundance of wildlife. Look out for buffaloes, lions, elephants and other wild life in their natural habitat. After 3 -4 hour game drive covering about 200 kilometers, you will retire back to your lodge for relaxation, memory sharing and lunch. 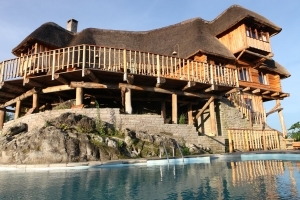 Thereafter, embark on a charming community tour to Leopard Village. 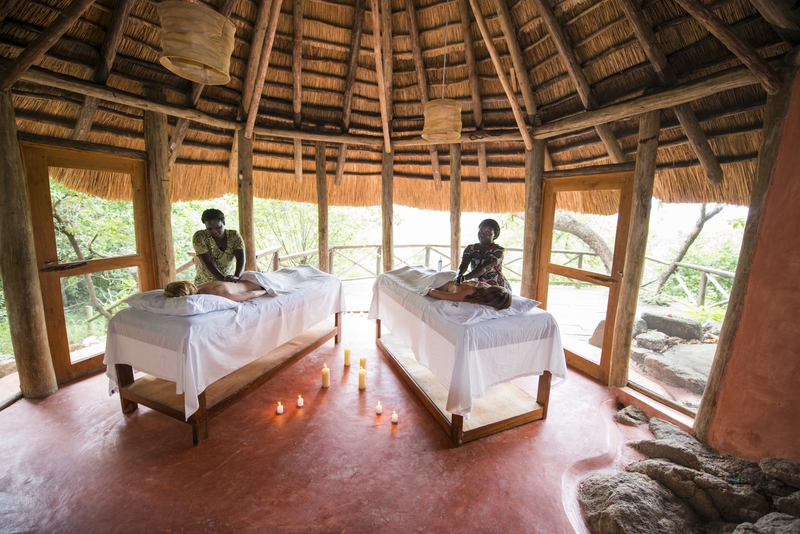 You will tour replicas of the traditional huts of the Banyabindi, Bakonzo, and Basongora ethnic groups, watch traditional song and dance performances, and purchase handicrafts made by local communities, also visit the local schools, and local homesteads. Thereafter, retire back to the lodge for dinner and overnight stay. After an early morning breakfast, proceed to explore the Nyanz’ibiri Cave Community. At this community site also known as The Cave, you will admire panoramic views of volcanic crater lakes, Paddle a canoe, hike to the Transparent Lake, spot eight species of forest primates, or just stop and smell the local flowers, visit the Cultural Museum which is a perfectly preserved Banyaruguru hut, filled with valued local artifacts that were once the tools of everyday life of the local people. Thereafter, connect explore the Katwe Village walk. The walk will lead you to a traditional homestead where you will be introduced to traditional activities like cooking the region’s cuisine, fetching fire wood, peeling bananas, and constructing sheds among others. You will enjoy traditional lunch here and in the afternoon head to Katwe salt works to see the local technology of extracting salt while learning how these men and women extract the salt locally. Thereafter, embark on transfer to Mbarara town. The drive will take you through the rolling winding hills and terraced landscapes of western region and head to Mbarara town. Upon your arrival at the town, you will drive direct to your pre-booked lodge for dinner and overnight stay. Following your early morning breakfast, you will embark on an early morning dive to Nshenyi Village. The route will take you to this rural farm, where you can learn about the Ankole people’s way of life. On arrival to Nshenyi Cultural Village, you will go on nature walks, visit various homesteads, be entertained by traditional dancers at the cultural village or at one of the homes in the community and experience the pastoralist lifestyle. You will also visit some of the local schools as well as walk through the local markets and visit with the Batwa pottery makers. Thereafter, return to Mbarara town for relaxation, dinner and overnight stay. Right after your early morning breakfast, embark on drive transfer back to the Kampala capital City. Along the way, you will have stopover at the Uganda Equator at Kayabwe where you will have an opportunity to stand in 2 hemispheres at the same time and take some photographs, Buy some crafts as souvenirs and also stop at the Mpambire drum village for drumming session. 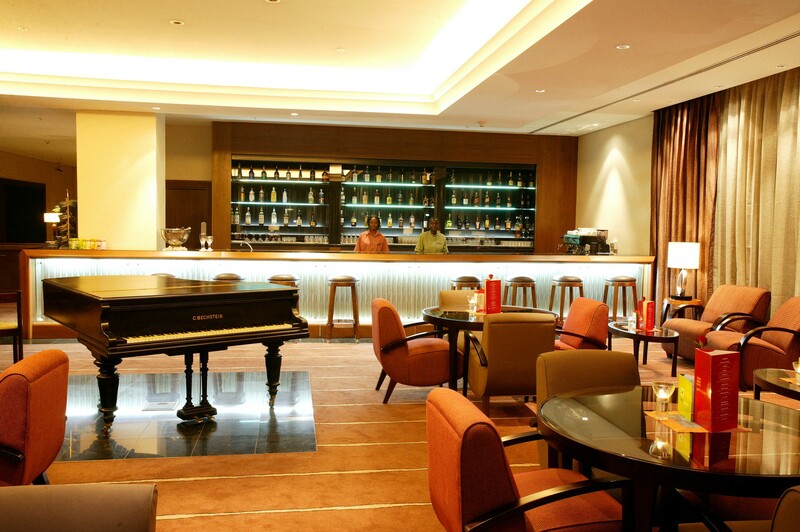 Thereafter, proceed to Kampala and on arrival, you will have your lunch and afterwards be transferred to Entebbe international airport for your scheduled flight back home.